Joe and Brendon have reinvented the cheesecake for a new generation with their massively successful Pleesecakes. Their inventive toppings and out-of-this-world flavour combinations will have you drooling with anticipation, and they couldn't be easier to make. 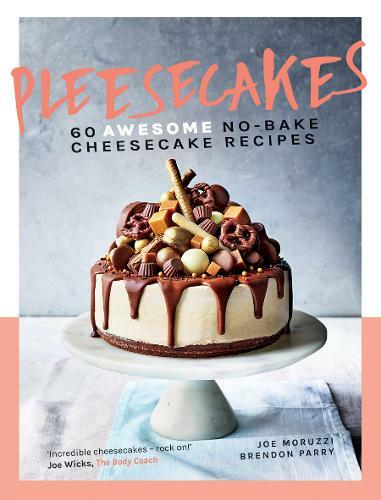 Pleesecakes' first book features over 60 of the boys' wildly popular no-bake recipes - once you've got the base and the basics, you're SORTED. Pile the toppings high and enjoy! From boozy riffs on cocktails (Bang Bang Mojito, Geezer & T, Daq Attack) and breakfast (Alpacino Cappuccino and Sizzling Bacon & Maple Syrup Minis), through celebration cheesecakes (Black Forest Gateau, Eton Mess, Chilli-Willy Chocolate), plus healthy and vegan options (Avocado & Lime Minis, Protein Slices), to classic Pleesecake favourites like the Strawberry Edge Ledge and Fully Loaded, this is a dessert book like no other.